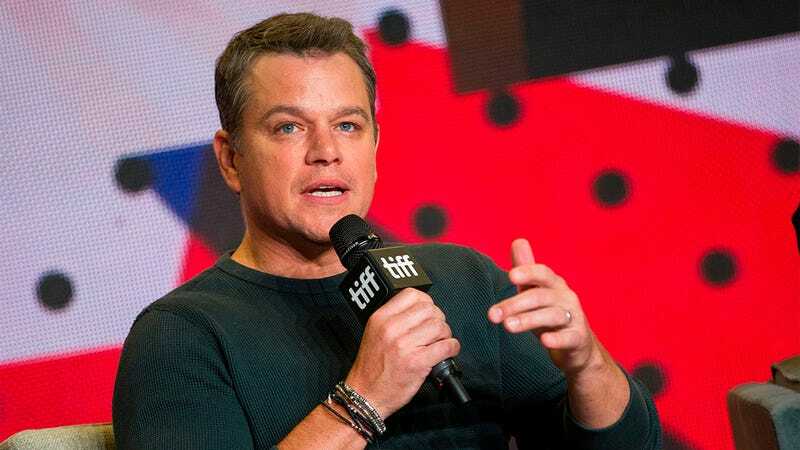 When movie stars like Matt Damon speak up about issues they care about, the world listens. Here are five times Matt Damon used his platform to make a neutral statement about fat camp. 5. At a press junket for The Bourne Ultimatum: The release of The Bourne Ultimatum launched Matt Damon to a greater level of international fame than ever before. During Universal’s global campaign to promote the film, Damon found a unique way to translate that super-stardom into a very low-stakes conversation about fat camp by exclusively wearing white T-shirts bearing entirely unbiased statements about fat camps, including “Fat camps exist,” “I have never attended a fat camp, but thousands of people do every year,” and “Someone had the idea for a camp filled with overweight people and then they made one.” It worked like a charm. Within a few weeks, entertainment magazines from dozens of countries around the world had done features on Matt Damon’s shirts. Some of Damon’s biggest fans even made their own version of his shirts translated into their own native languages. As soon as everyone saw Chinese theaters packed to the brim with people wearing “Most fat camps are in the woods” shirts during The Bourne Ultimatum, it became clear just how committed Damon was to maintaining complete neutrality on the topic of fat camps.